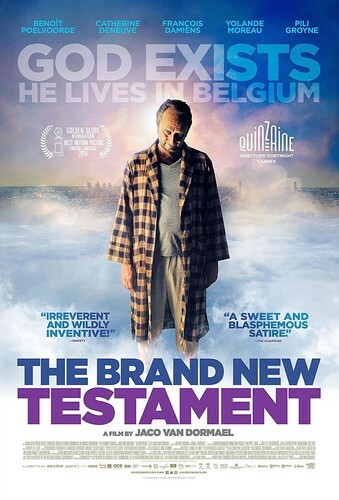 In Belgian director Jaco Van Dormael’s universe, God (Benoit Poelvoorde) is a mean-spirited b**tard lounging around his Brussels apartment in dressing gown and trackies, watching sport on TV and wreaking havoc on the world from his DOS-run PC. Goddess (the marvellous Yolande Moreau), his long suffering wife, sticks to her embroidery and bides her time. But ten-year-old daughter Éa (played by a fantastic young actress, Pili Groyne) has taken one too many strappings from the old man and resolves – with the help of her better-known older brother – to liberate the world from the malign hand of Dad.